The link John and Mary gives most of the information we have about Walter to date. Walter married Alice May Jennings. 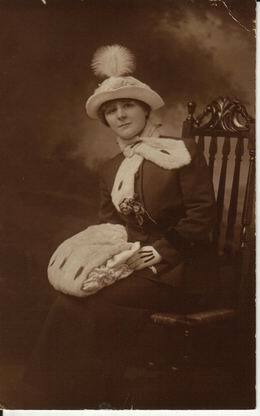 Walter was actually first married to Alice's sister, Sarah, but she died in childbirth. 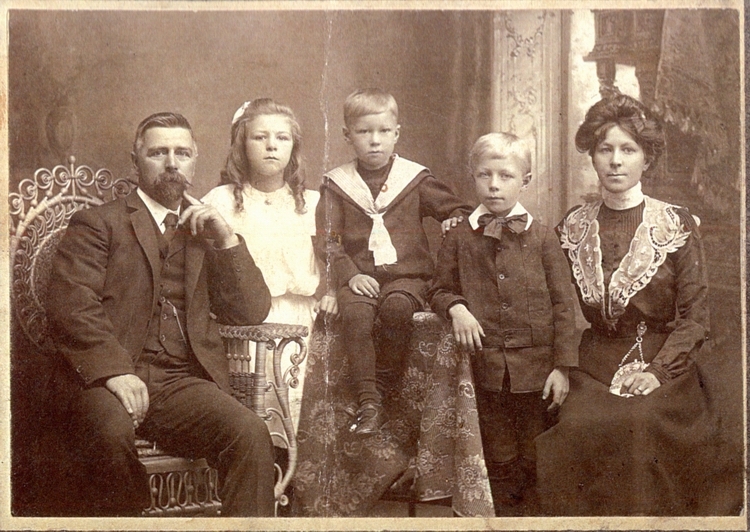 This Photo is of Walter, Alice (Jennings) and their 3 eldest children, Sadie, Walter (centre) and James. Since Evelyn, 4th and youngest, was born in 1905 when Walter was 9 years old, I am guessing this photo was taken sometime around 1900. This information supplied by Carol Trotman who is researching the Jennings family. 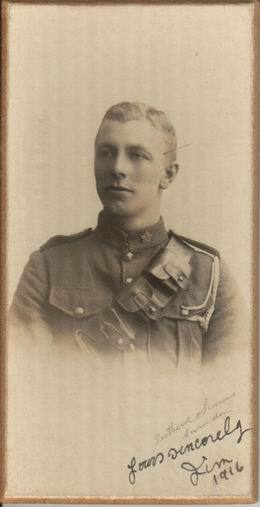 My grandfather George received a letter from Sadie (his cousin) when he had returned from the First War. He is said to have met his cousin Jim in an English Pub, maybe the Red Cow Inn owned by their Uncle James. Refer also to the tree. This is the background photo of Sadie used throughout this website. I have now made contact with Sadies son Doug. Her brother Jim at right. 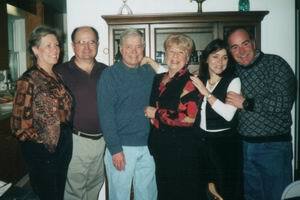 Stanton, Lois, Marianne, with Stans children Robert, Susan and Doug. 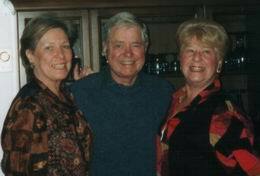 Lois, husband John and Daughter Elizabeth visited me in Feb 2007 as a result of this website. Elizabeth and family now live in Sydney.